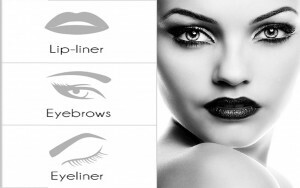 FAQ - Permanent Makeup Center Inc.
Every woman who wants to feel good about her self and confident that her make up application is faultless with an endurance way beyond anything conventional cosmetics can offer! Permanent Cosmetic procedures can last for many years. The actual length of time is variable and depends on factors such as UV / sun exposure, skin type, beauty regimen, the density of color implanted into the skin (softer enhancements do not last as long as strong, bold enhancements). Over time enhancements may be required. Most procedures take between 1.5 – 2.5 hours start to finish. It is always allow more than enough time so that you and your aesthetician can be relaxed and not be rushed to finish. Very little, if any, discomfort is experienced during the procedure. The great majority of clients describe the sensation as a “‘tickling” feeling. Most clients can immediately return to work or to their normal daily activities immediately following their procedure without any embarrassment or discomfort.